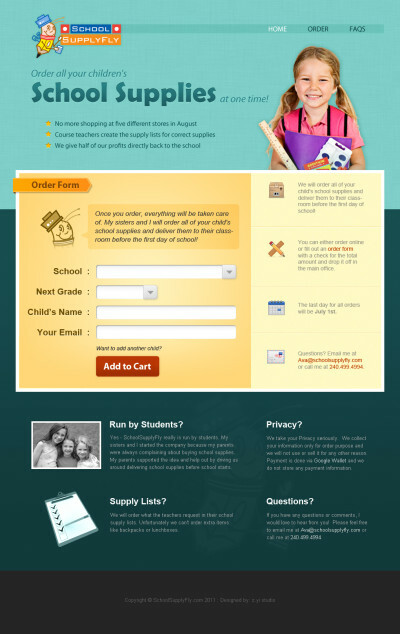 School Supply Fly is a start-up addressing the pain of buying school supplies parents go through every school semester. By ordering through the site, all the school supplies will be ready for the student – delivered to his desk – the first day of school. The site is setup as a one page scroller due to the type and amount of content, we also aimed to give it a fun yet trustworthy vibe.